Official Cirque Du Soleil TOTEM trailer. Opening May 2010. TOTEM retrace le périple fascinant de lespèce humaine, de son état primitif damphibien jusquà son désir ultime de voler. Ses personnages évoluent sur une piste en forme de tortue géante, symbole dorigine de plusieurs civilisations anciennes. Cirque du Soleil has unveiled details about Totem, its acrobatic show inspired by the founding myths and legends of aboriginal cultures and slated to premiere in Montreal in April 2010. A Soyuz spacecraft has brought Canadian circus tycoon and space tourist Guy Laliberte to the International Space Station. The current ISS team welcomed the unusual passenger along with Russian cosmonaut Maxim Suraev and American astronaut Jeffrey Williams. 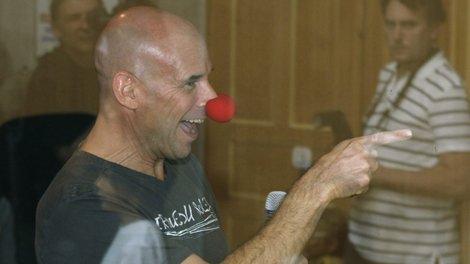 Laliberte says he is going to create a festive mood in orbit and amuse his crew mates – he even brought along red noses for them. CAPE CANAVERAL, Florida — A former stiltwalker and fire-eater stole NASA’s show Thursday, saying he’ll be “like a kid in a candy store” experimenting with zero-gravity tricks on his upcoming tourist trip to the international space station. 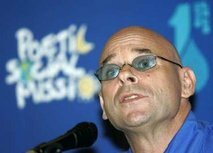 MONTREAL — A website that covers NASA is reporting that Guy Laliberte, the founder of the Cirque du soleil, will visit the International Space Station this September. “NASA Watch,” which has no official links with the American space agency, says it has learned from multiple sources that Laliberte will fly into orbit aboard a Soyuz spacecraft .